1. A gun safe for the Camano Sheriff’s Precinct. 2. An outside storage container for garbage cans and small item storage for the Precinct. 3. 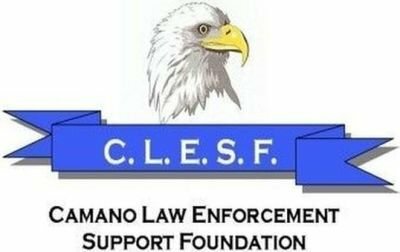 The Foundation took over the purchasing of uniforms for the Camano Citizen Patrol volunteers from the Sheriff’s Office. 4. Items for the Citizen Patrol vehicle, such as flash lights, warning light, and G.P.S. unit. 5. A portable radar speed indicator (radar unit) for the Park Rangers in 2012 ($3,500). 6. 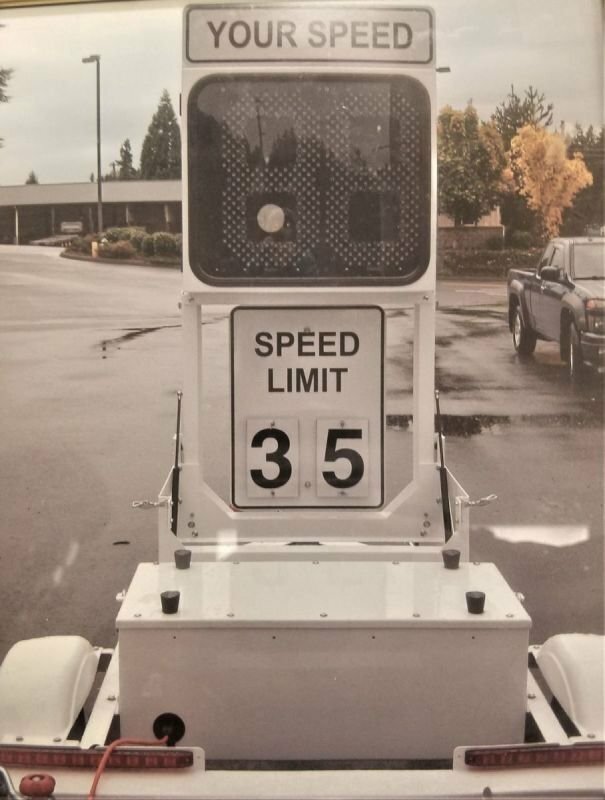 A radar trailer for the Camano Sheriff’s East Precinct in 2014 ($5,700), which is used by the volunteers to place on the public and private streets. 7. Two portable police radios, one as a backup for the Camano Sheriff Precinct, and the other given to the Camano State Park Rangers. 8. A protective “bullet proof vest” for the Camano Sheriff’s Volunteer Chaplain. This chaplain often rides with deputies and is dressed in the same work uniform. 9. A metal detector for the deputies and park rangers in 2015. 10. Purchase of 4 “trail cameras” for deputies and park rangers to “catch garbage dumpers, and thieves”. 11. A State approved breathalyzer for Camano Park Rangers. 12. Christmas “Shop with a Cop” program for 2017. 13. C.L.E.S.F. has sponsored four free basic hand gun safety classes, and also a female self-defense class. There will be more free classes. “SHOP WITH A COP” for Christmas 2017 was a remarkable success. Seven Camano elementary school students participated in shopping with a deputy with $200 each. We would very much like to double this number for 2018.